Neutral palettes have been making their way into homes over the last few years, and they aren't going anywhere anytime soon. The white on white trend is staying put. Layering different shades of white or light toned furniture and textiles with white walls and baseboards creates an open and airy canvas to work with. The trick to making the white work, is balancing it out with wood tones and a variety of textures. You can do this with hardwood flooring, living plants, wood accent furniture, natural fiber rugs, etc. 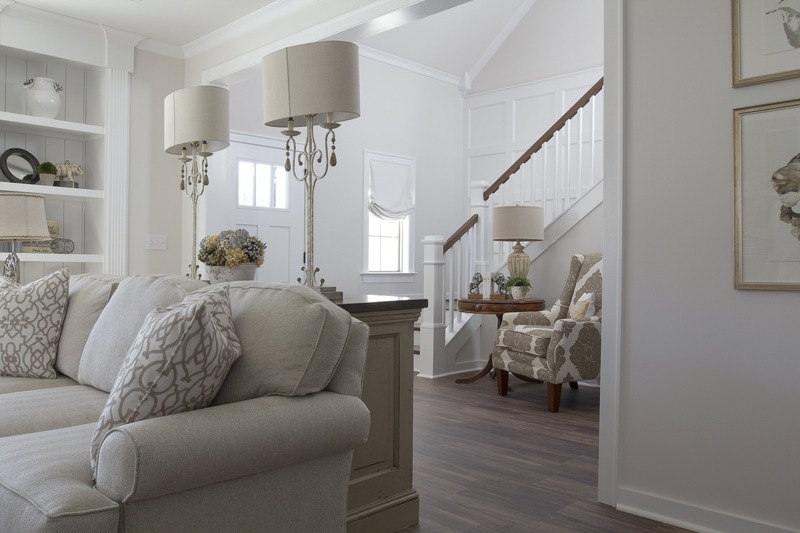 A simple way to update and open up a room is to paint a very light shade of white, gray or beige on your walls. This creates such a dramatic effect on your living space. Light reflects light, creating the illusion of more space! Having a curated aesthetic in your home creates interest and warmth. You can achieve this with displaying items you collect and LOVE. We aren't talking about random, meaningless knick knacks, it's about collecting items that bring you joy and finding a space in your home to display them. 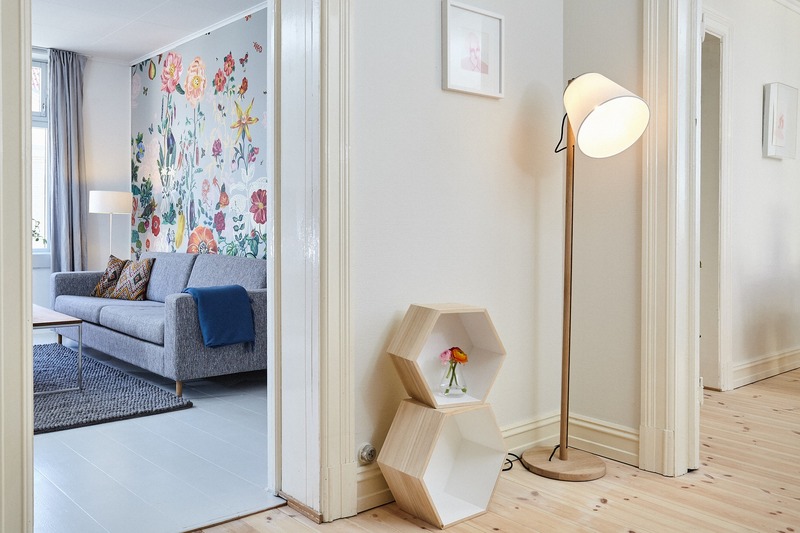 A gallery wall is another way to bring the curated look into your home. Display photos of your trips, family and friends or mix and match art and photos. If you like symmetry, buy several frames of the same size and color and organize them on your wall in equal columns. 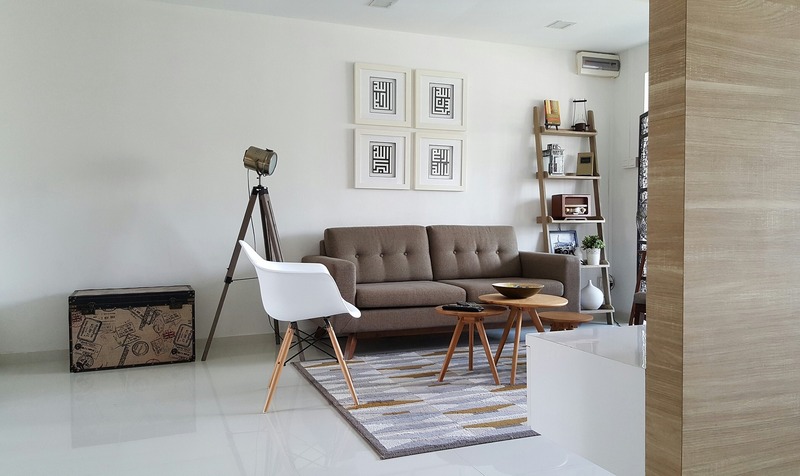 For a more eclectic style, go for frames of different size, material and shape. You can even throw in 3-D art and live plants! When you mix and match the style in your home, you bring in elements of interest and personality. You can unite feminine and masculine, Bohemian and modern, industrial and farmhouse, etc. 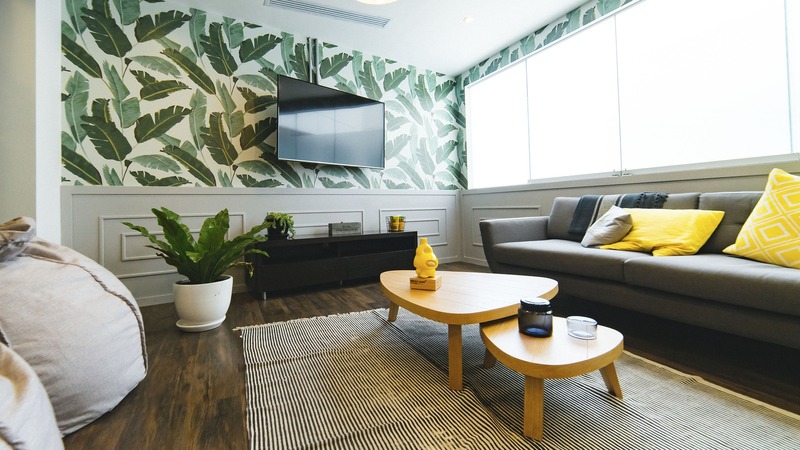 If you like clean lines and simplicity, but still want warmth, you can mix earthy elements such as plants, natural fiber rugs, and wood flooring with modern furniture such as couches, tables and lamps (see image above). Give yourself freedom to balance the styles that bring your personality to life. 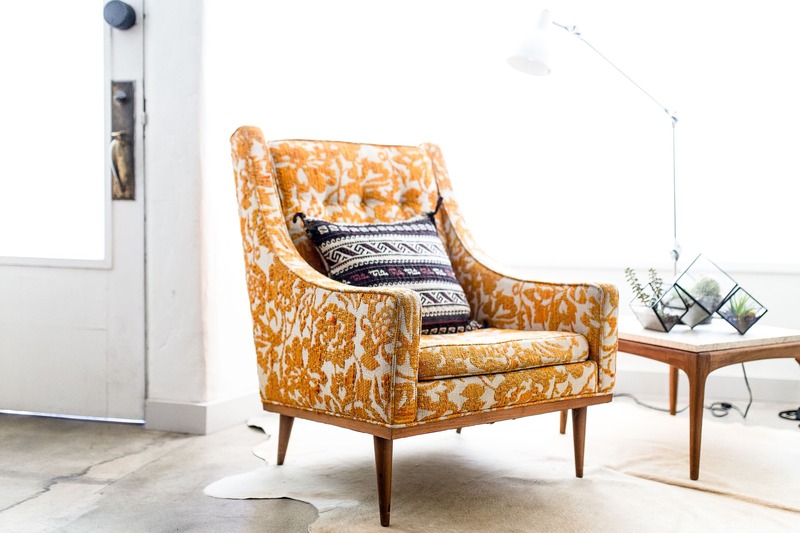 Find unique, handmade pieces to bring into your home. Stop by your local flea market or antique shop and look for items that will not only add texture, but will tell a story with the character and life they hold. 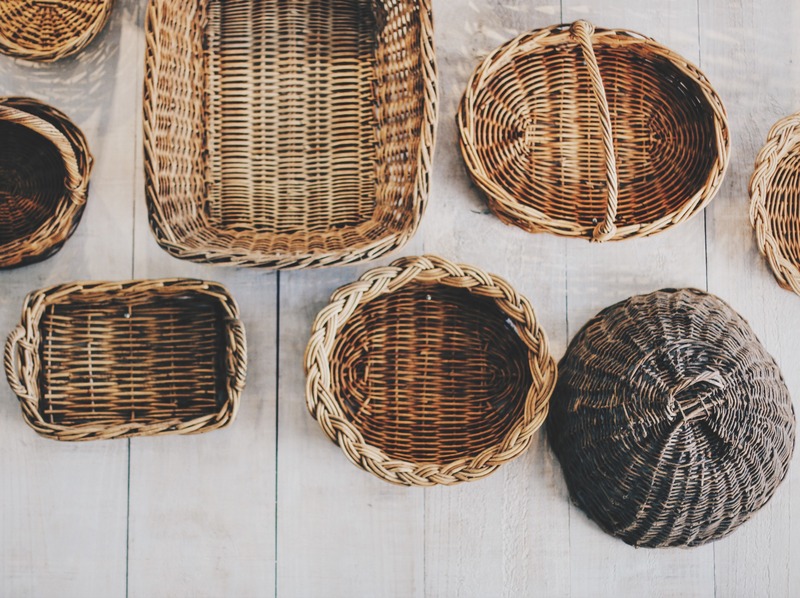 Think baskets, ceramic vases, wood carvings, old books, and handmade furniture. When you bring these items into your home, there is an invitation for conversation. It shows your appreciation of the products created by human hands. Find a place in your home where you can add a bold graphic. This can be a temporary wallpaper, throw pillows, an accent chair, or a rug. It's a great way to add a pop of fun and interest into your home without committing to anything long term. 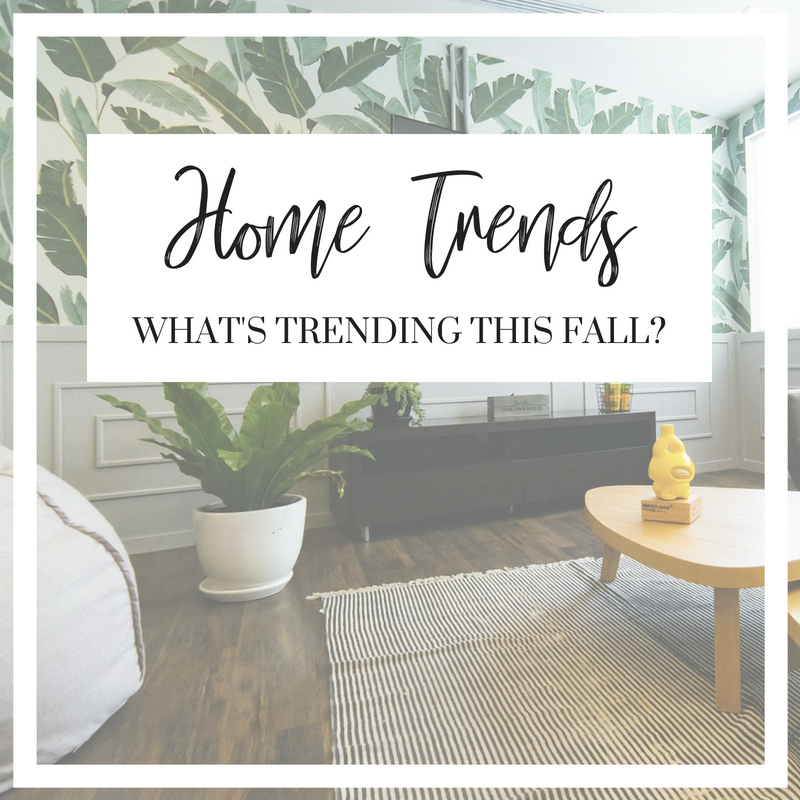 As the season starts to shift from summer to fall, carry the transition into your home by implementing one of these home interior trends!